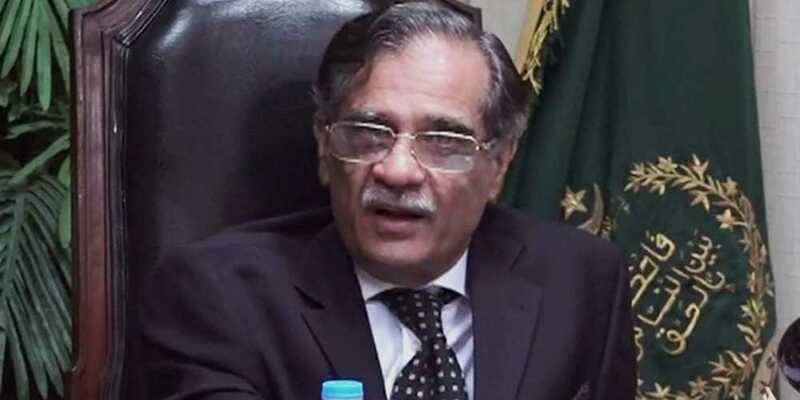 Chief Justice of Pakistan Mian Saqib Nisar remarked on Wednesday that Azam Swati’s trial could be conducted under Article 62 (1) (F) of the Constitution. Azam Swati submitted his written reply to the Supreme Court of Pakistan over the Joint Investigation Tribunal’s report. “Should we conduct a trial according to article 62 (1) (F) over here or send it somewhere else,” the CJP questioned during the proceedings. Upon which Azam Swati’s counsel argued that the JIT report was based on charges and the case cannot be preceded under Article 62 (1) (F) as there was no prior precedence. The top judge responded saying that awareness was followed by punishment. “What action has been taken so far?” Justice Nisar questioned. The attorney general informed the court that the National Accountability Bureau’s laws did not apply to in Swati’s case. “We will assign court assistants to assist in the case proceedings on the basis of 62 (1) (f),” the CJP stated adding that Swati should have displayed some etiquette and given a sacrifice. “We don’t want Azam Swati’s money for the dam funds nor for national interest,” the top judge remarked. The case has been adjourned till December 24.